IT-manager's Life (English): Windows 7 64-bit does not install printers shared from XP 32-bit? Here is the solution! Windows 7 64-bit does not install printers shared from XP 32-bit? Here is the solution! When a LAN (Local Area Network) has many Personal Computer (PC) associated with different operating systems (Windows XP, VISTA, SEVEN) may arise some problems with the printer drivers. When S.O. is part of the 32-bit and 64-bit part, it may cause incompatibility problems between printers, when you try to put them into sharing. In the Windows world for "shared printer" refers to a printing device is physically connected to a PC, but visible and usable by other PCs on the common local area network (LAN). Specifically, if a system with Windows 7 64-bit you try to install (with the classic "Connect") a shared printer that is physically connected to a PC using Windows XP 32-bit, usually the process does not go to successful, and it appears the error message "No driver found". In essence, the printer is not correctly detected when you mix Windows drivers of 32 and 64 bits! Then click Next, (for example, \ \ PC1XP \ hplaserjet). 6. Click the button Windows Update, wait for the process finishes and then look for the driver again. Printer sharing with the combination Windows SEVEN 64-bit + XP 32-bit gave me a lot of problems with printers of different brands. 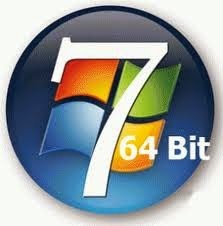 While Windows 7 32-bit + 32-bit XP normally not one problem. Of course the real network printers, ie those that have a built-in Ethernet port and can be configured with a specific IP address, of course, are immune to this problem!